I made you cry? My job is done! 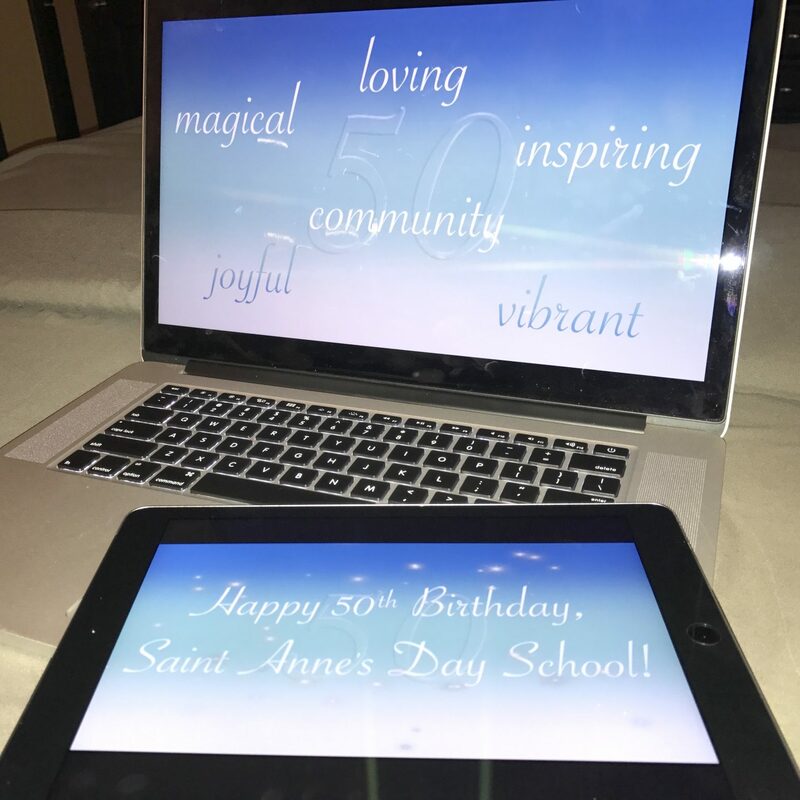 Saint Anne’s Day School just electronically sent this video production to its constituents after showcasing it at their annual Spring Soirée. 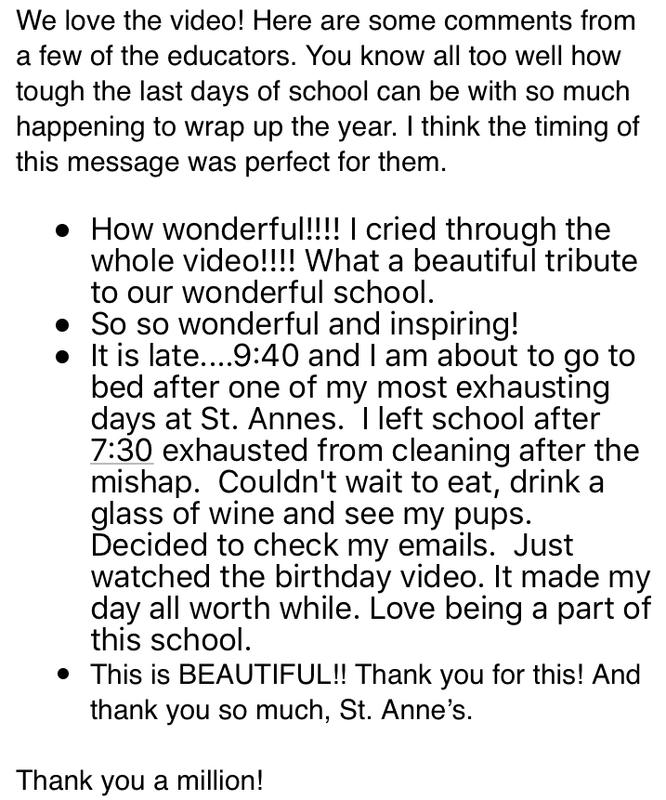 Videos of this nature are new for this community, so the feedback is especially important for me and for the school’s director, who is successfully wrapping up her first year! I’m so incredibly grateful for the opportunity to work with this school, and it’s always icing on the cake when I hear that my productions made people cry!